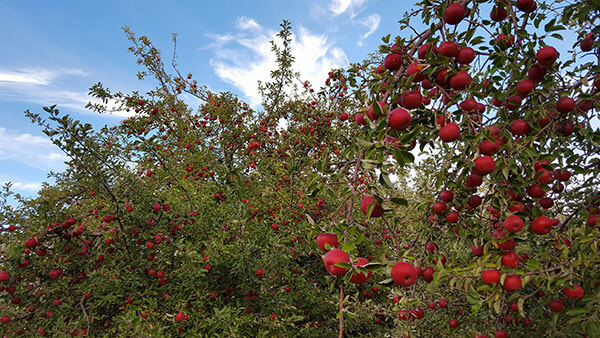 The four and a half acre orchard is unique due to its ecological design and its location on high desert (6300 ft) of clay soil. It was specially designed to minimize water usage and produce the tastiest fruit. 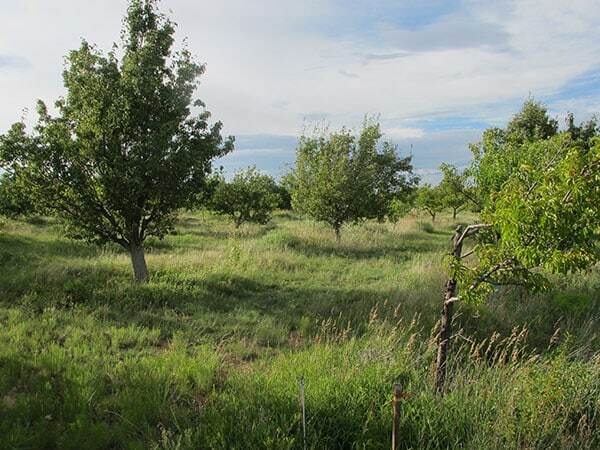 The orchard was operated in an organic manner from the outset and has been certified organic by the New Mexico Organic Commodities Commission (now the New Mexico Department of Agriculture) every year since 2000. To minimize water usage and give the trees a healthy soil, under each tree a compost heap three feet in diameter and three feet deep was dug. The compost materials came from the Ranch’s animals and horses at the then functioning nearby racetrack, nearly two hundred tons of horse manure went in at the start! 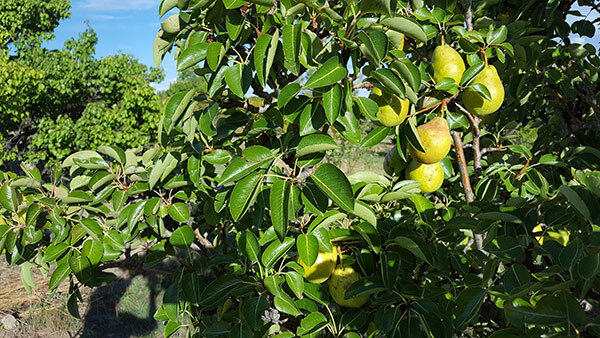 In addition, the orchard has a drip irrigation system, both minimizing water losses to evaporation and not over watering to keep the fruit packed with flavor. 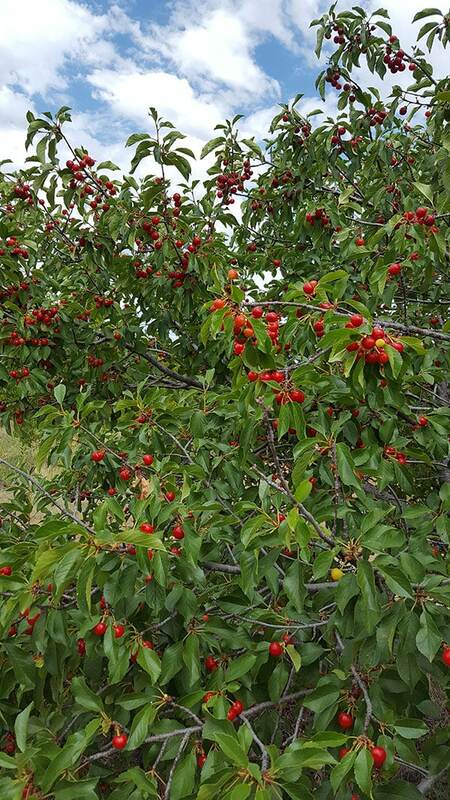 Synergia Ranch fruit has come to be recognized as the some of the best tasting fruit in New Mexico. 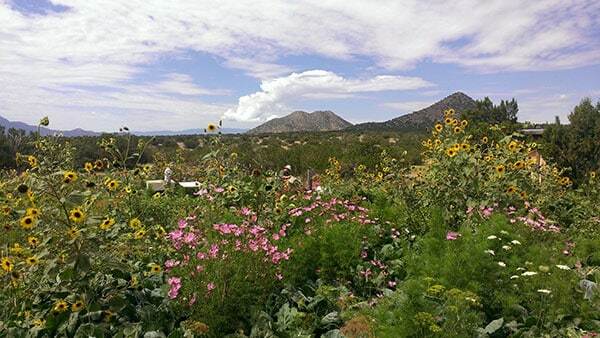 Synergia Ranch started its orchard in 1976 on a wind-swept high desert plateau south of Santa Fe. 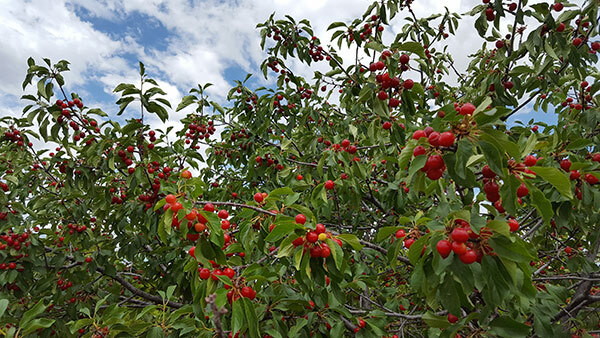 Now thirty years later, the four hundred fruit trees planted (apples, peaches, apricots, pears, cherries and plums) have flourished. 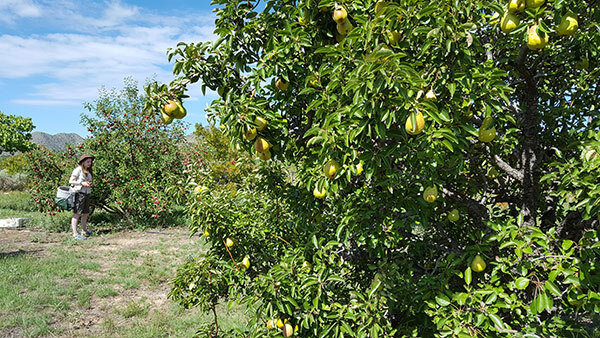 Today we have been bringing our peaches, apples, and pears (which comprise most of the trees in the orchard) to local farmers markets, fine restaurants and bakeries, and to natural foods wholesalers in Santa Fe and Albuquerque. We have early and late Elberta peaches, some white peaches, six varieties of apples, and three varieties of pears. Synergia Ranch is also working on ecological conservation and enrichment of our local ecology since it began in 1969. Most of the 130 acres are left to recover from decades of early overgrazing in the years after the land was first homesteaded. Hundreds of trees have been planted as windbreaks and soil-holders around the Ranch to prevent continuing wind and water erosion and help create an ecological oasis. Two windbreaks of Russian Olive and Honey Locust trees were planted in 1985 on to prevent any soil erosion down slope from the orchard. 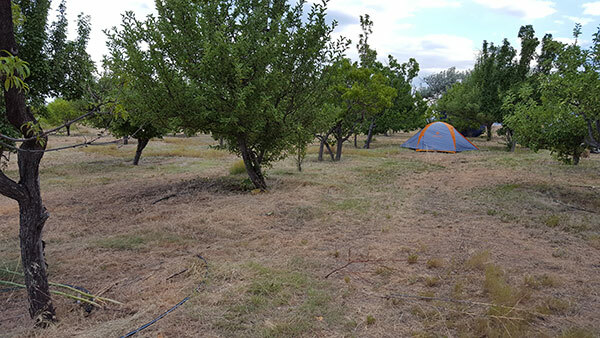 An adjoining area was setup with micro-catchments supporting trees to prevent soil erosion up slope from the orchard. Over the nearly forty years at Synergia Ranch, we have produced hundreds of tons of topsoil by composting animal manure, helping to replace and enrich the eroded soils that were originally here. 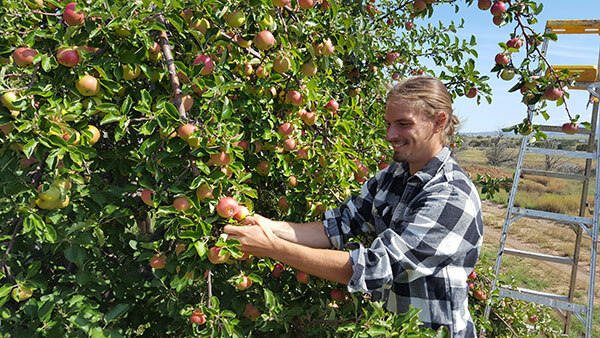 Around the orchard and Ranch we now see a much improved ecology from what it was when we started. Native grasses and shrubs have come back strong, and the tree program has helped create a micro-climate much more favorable to plants, animals and people alike! 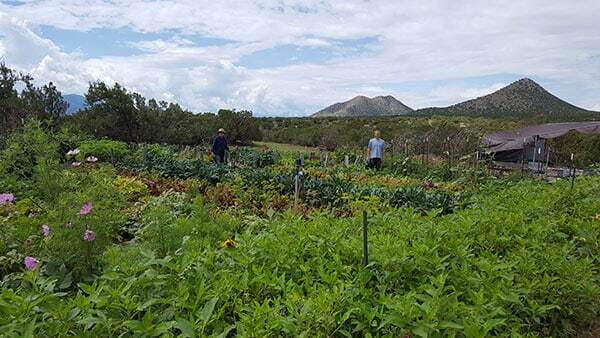 When Synergia Ranch was started in 1969, a vegetable garden was established using biodynamic farming and organic farming methods. To improve the original clay (adobe) soil, which is alkaline and low in organic matter, a program of composting of kitchen wastes, plant material and animal manure was instituted. 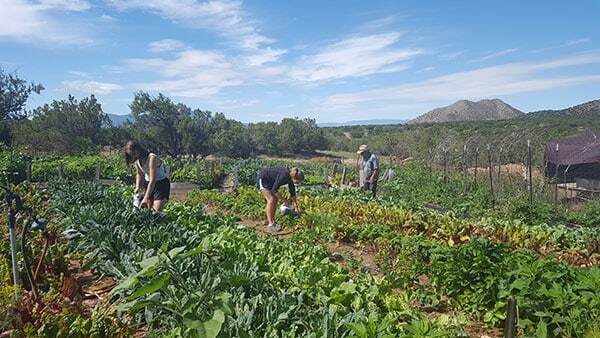 In a few years, the garden began flourishing and the vegetable gardens helped feed the community members who were building and creating Synergia Ranch. The garden continued to be used over the decades since, also supplying fresh vegetables to the conference center kitchen. 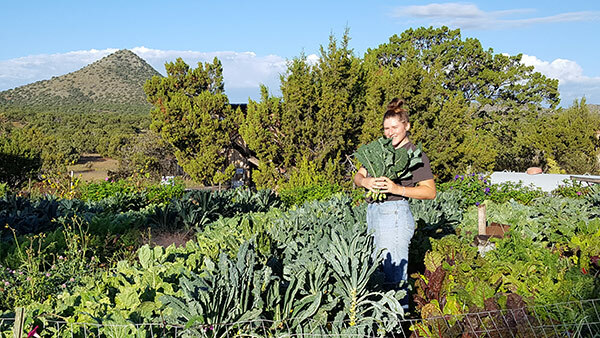 Several years ago, after a few fallow seasons, the vegetable gardens were restarted and since the soil had become so rich and productive, excess vegetables were sold to restaurants and grocery stores in Santa Fe. In 2010, the vegetable farm was certified organic. 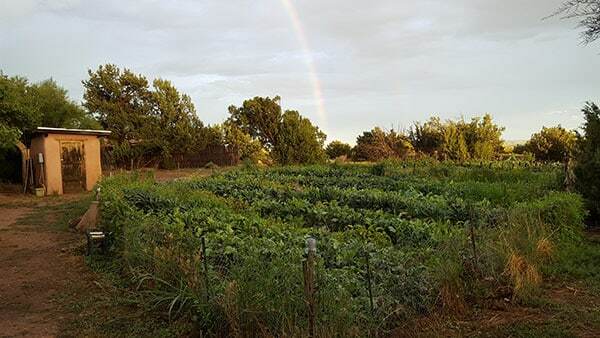 In 2011, the vegetable farm was doubled by converting old horse corrals into vegetable production. The vegetable farm produces beets (red and golden), Swiss Chard, several types of kale, collard greens, potatoes (purple, red, russet), carrots, winter squash (butternut, acorn, pumpkin, delicate and Hokkeido), summer squash (yellow straighneck and cocozelle zucchini), cucumbers and heirloom tomatoes. 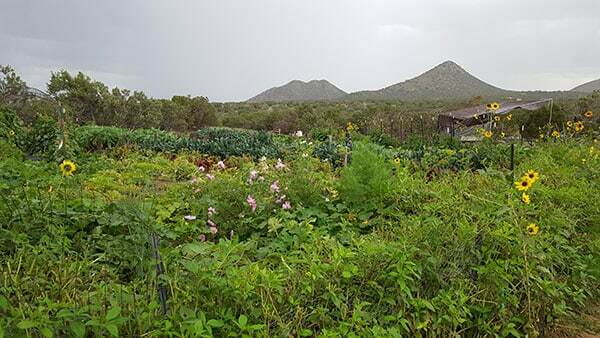 The vegetable farm uses drip irrigation to conserve water and to yield high-quality crops which are packed with flavor. 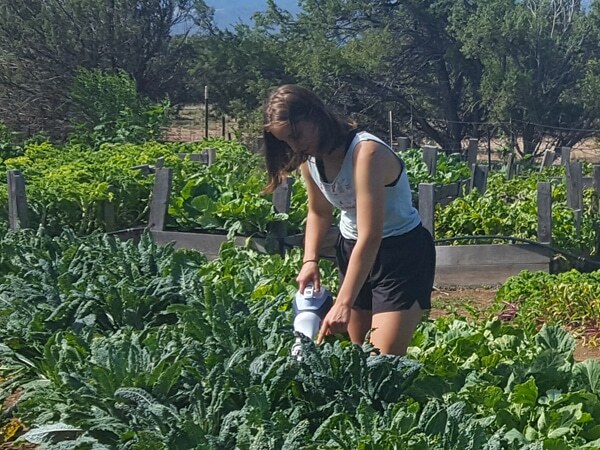 Our vegetables are beginning to gain the same reputation that the Ranch orchard was always enjoyed – local food of exceptional flavor – due to our unique location in the foothills of the Cerrillos Hills, our improved healthy and living soil and our sparing use of irrigation. Though the vegetable farm is less than half an acre, our soil, drip irrigation and intensive farming methods make it produce abundantly. 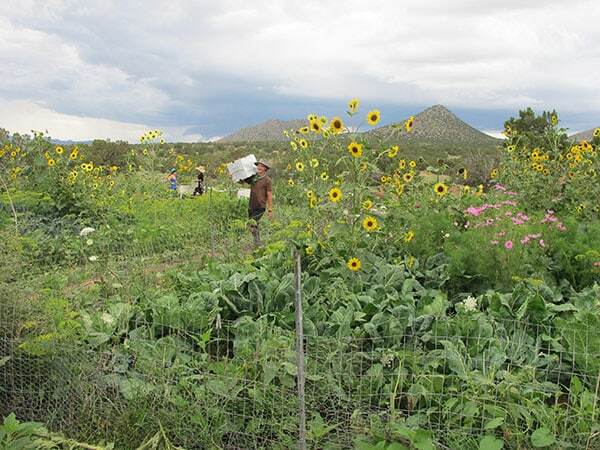 In 2011 we produced over 13,000 lbs of vegetables plus corn and beans for our own use. 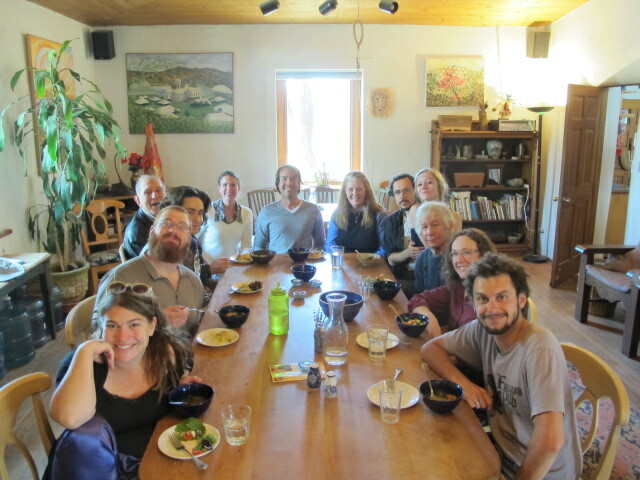 We are proud to supply our local Community Supported Agriculture organization, Beneficial Farms, Farm to Restaurant program and many local restaurants, the La Montanita Coop, Natural Grocers by Vitamin Cottage, Whole Foods and the Downtown Grocers Market in Albuquerque and the Santa Fe Farmers Market. 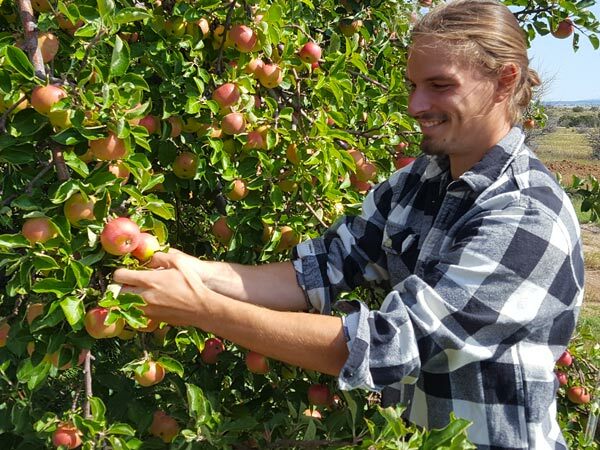 We appreciate your interest in supporting local growers! Come and see us at the Farmer’s Market in Santa Fe. Or, contact us to arrange a delivery!